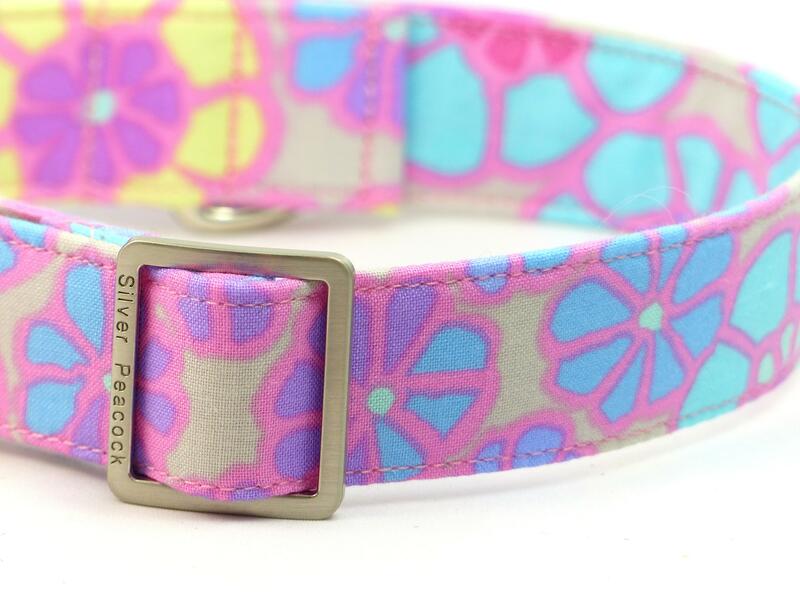 Isn't this the prettiest, girly collar! 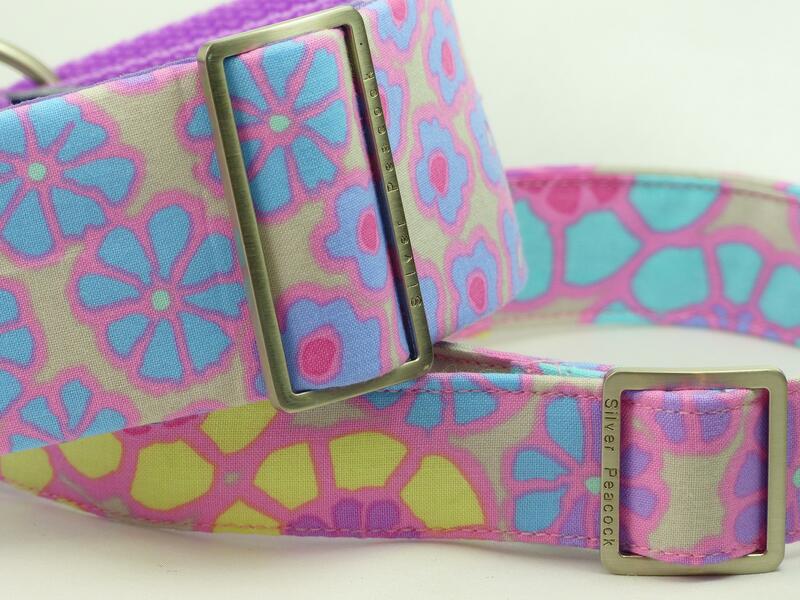 A sweet Kaffe Fassett designed cotton print of pastel shades in a styalised daisy pattern in dozens of different soft pastel colours including lavender, aqua, pale pink and lemon. 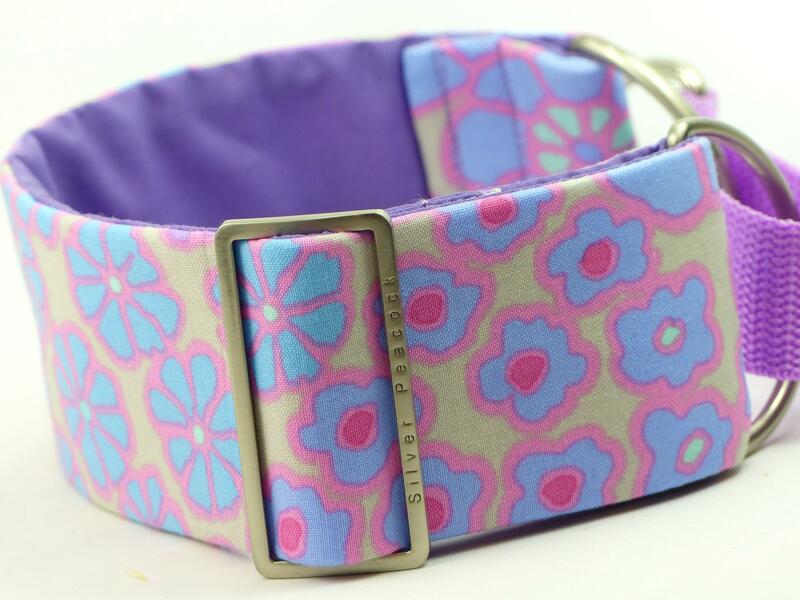 This looks gorgeous on grizzles and brindle coloured hounds as well as blacks. 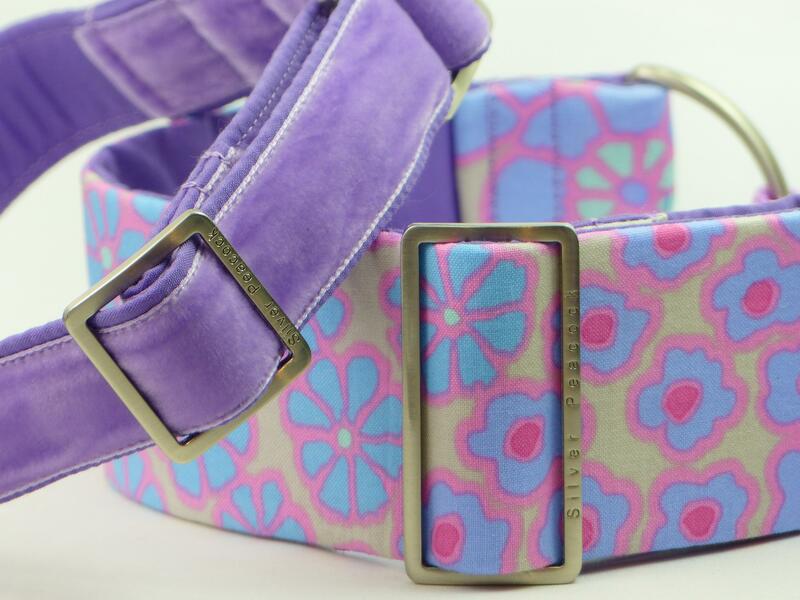 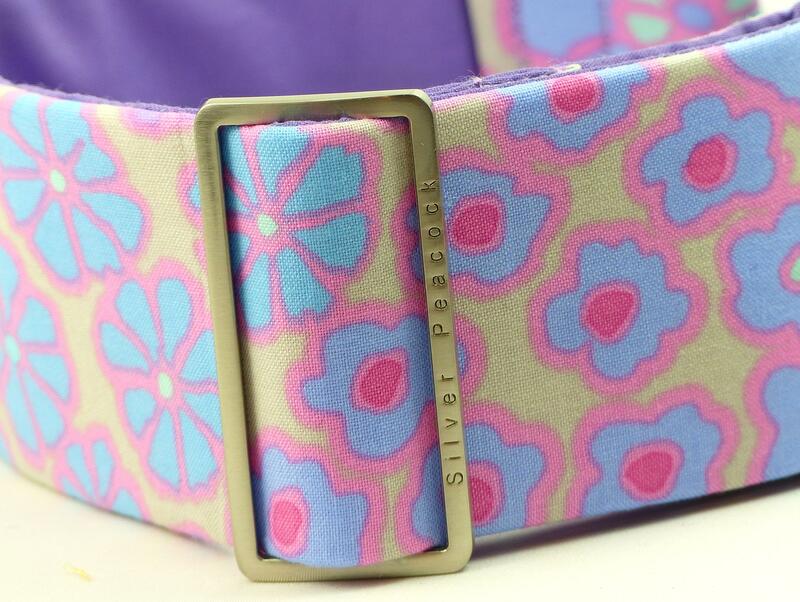 The collars are lined in co-ordinating lilac fabric and are finished with our signature robust silver coloured hardware.